With environmental problems increasing, awareness has also been spread around and it seems like more companies are directing their attention towards green practices. Having the possibility to be a participant in environment protection would certainly influence the image of your brand in a positive way. Green initiatives have evolved tremendously along the last couple of years, and it seems like organizations are going out of their way to label their brand as eco-friendly. If you have been contemplating on implementing a few positive changes in this department yourself, learning about how other businesses are acting to reach this goal will most certainly help you out. It apereas that sustainability conversion is no longer an overlooked trend but is becoming rather mainstream, which of course is an amazing thing. As things move forward, it’s essential to understand your own role in this department and put in the effort necessary to achieve a green reputation. What actions are considered most popular lately? An easy, yet effective way entrepreneurs have started making their business more environmentally friendly, an upgrade you can pursue yourself, is making a change in their procurement habits. When it comes to signing collaboration contracts with suppliers, direct your attention towards those you know are sourcing services and goods in an eco-friendly way. Products and services that have been produced and provided in a green way should be your first choice, regardless of the extent of your demands. However, in order to enable a green procurement practice, you will have do some research on the suppliers, because often they might mislead you with unreliable information. If you have the possibility of sourcing supplies locally, this is the option you should consider, being much easier to inspect the actual provenance of the products. Request details on where the supplies are coming from, how they are packed and what means of action the supplier takes in order to keep everything as green as possible. An upgrade in your policy in this department will count. Disposing of waste is something that any businesses needs to do, regardless of profile or size. Whether your waste disposal demands are extensive ones due to the nature of your organization’s activities, or your requirements in this department are standard, you still need to optimize processes accordingly. Beside setting up bins for effective recycling purposes, you should also have other types of equipment that can ensure proper recycling methods. Companies, especially ones functioning in the manufacturing industry, are now using compactors, Miltek balers and other machineries that can facilitate fast and safe recycling and waste disposal processes. If your business hasn’t had access to these types of machineries until now, perhaps it’s time to consider making an investment and acquire ones. 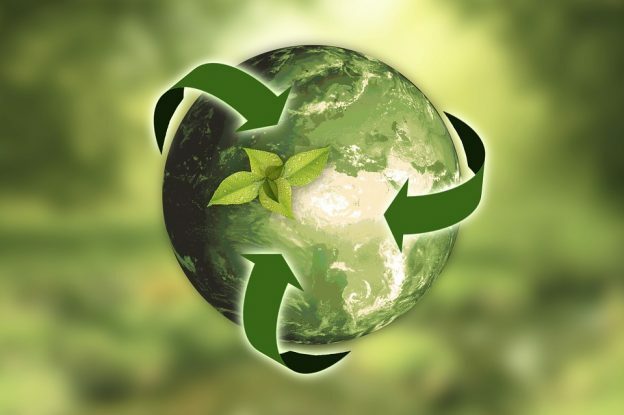 With waste disposal and recycling optimized, you will certainly give your company the green characteristic you desire. However, make sure all of your departments are on board with the improvement – this needs to be a team activity, in order for the result to be the ones expected. Running a website on multiple servers will cause a lot of environmental damage, and considering the servers do have to function at all times, keeping your website running is harmful for the environment. Web hosting green practices are however possible, and seem to have come to the attention of numerous enterprises lately. 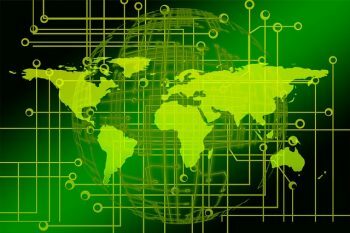 Green hosting is now accessible, and that means you can be certain that some of the energy demanded for keeping your website functioning on various servers is coming from a renewable power source. Moreover, the green alternative in this department could also be more financially appealing, so get into the subject, and if you haven’t switched to green web yet, this is the right time to do it. The climate crisis has determined both regular individuals and businesses to optimize their energy consumption and come up with ways to reduce it. Energy savings can be achieved in various ways. You can start by switching to a green energy provider (nowadays this sort of options are more accessible than ever), switching to LEDs instead of traditional light bulbs, as well as inserting a policy on keeping unused appliances and computers turned off. There are various easy ways in which you can reduce how much energy your enterprise is consuming on a monthly basis. This will also be a good thing money-wise, considering your energy bills will be considerably lowered. How many of your employees are driving their personal car to work? Upon researches, it has been concluded that the majority of employees of an organization usually resort to this method of transportation, and with the growth in car usage, more gas emissions are being sent into the atmosphere, contributing to the increasing level of pollution. Large corporations have taken the role of lowering the problem by promoting commuting. If more of your employees will share rides to work and back home, the long-term positive impact would be undeniable. You can set the goal of positively influencing your teams in this department. While it might not be possible in all situations, a compromise could be achieved. In order to actually have an impact, you could compensate your workers who have in fact made this lifestyle change. Within big organization, commuting could be an extremely positive thing. Businesses seem to be more focused than ever on making a positive impact on the environment through their contributions. Going green is not as difficult as you might believe and while there are complex actions that can be taken in order to reach this purpose, you can always start off small. These are the initiatives that seem to be most popular at the moment, with numerous organizations implementing them on a regular basis. If all companies unite in the fight against environmental degradation, the results will certainly be noticeable ones. So, wait no longer, and become an activist yourself – a business owner, you have the power to do so.